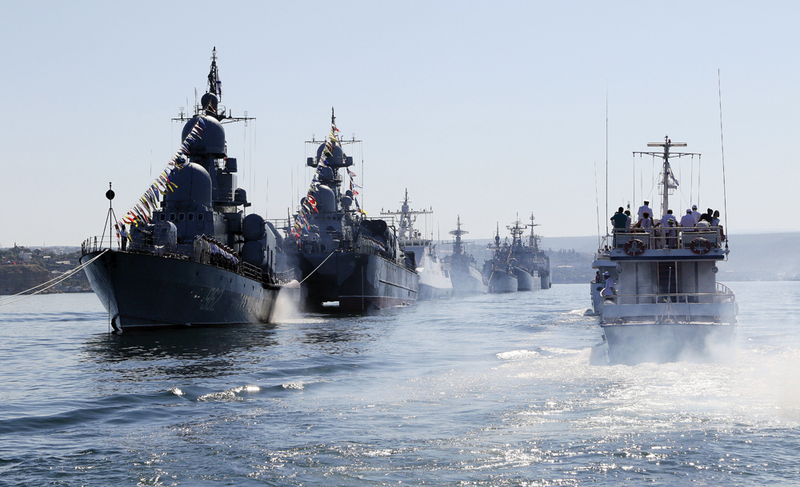 Russian warships are seen during a rehearsal for the Navy Day parade. India offered a Project 23000E Storm aircraft carrier. Russia has offered India the joint construction of a nuclear-powered aircraft carrier, according to a source in the Indian Navy. He added that India`s Ministry of Defense (MoD) would consider the Russian offer. “The MoD is planning to review it in strict accordance with the standard procedure. The final decision will be announced in late 2016,” the source added. In May 2015, the Indian Navy allocated 300 million rupees ($4.5 million) to start design works on a new nuclear-powered aircraft carrier intended for the service. The ship is supposed to be named 'Vishal'. India is working closely with the United States to develop an aircraft carrier. In 2015, both countries established the US-India Joint Working Group on Aircraft Carrier Technology Cooperation (JWGACTC) to address the issue. The third meeting of the group is supposed to take place between August 9 and August 12 in Washington DC.